You read your favorite book on it, take naps after a long day’s work on it, have the kids’ friends over for a sleepover on it, and gather around it to watch that one show everyone in the family likes. What are we talking about? Your furniture, and your furniture upholstery, to be more precise. Because you do so much life on and around your furniture, regular upholstery cleaning is just as important as regular carpet cleaning. That’s right: your couches, chairs, sectionals, ottomans, and anything else with fabric, needs to be deep cleaned just like your carpets. Every time you sit, lie, plop, or move around on your upholstered furniture, you’re unknowingly releasing dust, dirt, grime, mold spores, dead skin, and bacteria into the air of your home. Of course, having your upholstery full of dust, allergens, mold, mildew, or old stains can negatively affect the quality of the air in your home. While good air filters and household plants help filter out those allergens, removing them completely from the upholstery means they aren’t there to be picked up by the filter to begin with. And, complete removal of allergens and dust is always ideal for a clean home with clean air. Did you know that the allergens, dust mites, fleas, mold, and bacteria can get into the fibers of your upholstery, and left too long, they all could cause a wide range of allergies and illness? Also, if you have anyone with sensitivities to dust or mold, this will only impact them more. Keeping up on regular upholstery cleaning drastically reduces the presence of these irritants, and in turn, helps to keep your home and family healthy. The family couch or sectional is where a lot of life happens. You’ve engaged in countless movie nights, eaten dozens of TV dinners, fought off illnesses, and watched hundreds of TV shows and cartoons. If you have a baby or toddler, the couch has been a changing table and feeding station. For most families, the living room furniture becomes the favorite spot for homework or running an at-home business, and you can bet it is your pet’s favorite spot to wait for you to come home. Clearly, a lot happens on your furniture, and sometimes it’s all too obvious because of the odor. Plus, cooking odors from the kitchen have a way of staying on your upholstery, which also contributes to an unpleasant smell. Upholstery cleaning helps remove those odors by removing the source. Your furniture is an investment, and oftentimes an expensive one. Whether it’s just regular wear and tear, or spilled milk, body oil and grease, cleaning your furniture regularly can extend the life of your investment. You know those stains couches collect that you’ve tried covering up with a blanket or pillow, and when company comes over you feel embarrassed? Of course, we all do! Whether they’re from kids and animals, or just being old and experiencing normal wear and tear, we use our furniture on a daily basis. And no matter how clean your house and carpets might be, if the upholstery on your furniture looks dirty and grimy, the rest of the house isn’t going to feel clean. The easy solution is to have your carpet cleaning professional add in upholstery cleaning while also cleaning your carpets. Accidents happen and are sometimes out of our control. A roof leak or a minor stove fire can cause water or smoke damage. Part of that damage is done to the upholstery of your furniture. While you might be inclined to just throw out the furniture and start over, you would be surprised what a good upholstery cleaning can do. Our technicians are IICRC certified and ready to help you clean up the water/smoke damage your home and furniture experienced. You know that faded, thinning look your furniture upholstery can get? That’s caused by dust and dirt, which act like bits of sandpaper rubbing on the fabric. Regular upholstery cleaning removes this dust and improves the durability of the upholstery, making sure your furniture lasts a long time. Many of the cleaning machines you can buy from a store do not have the power that truck-mounted water extraction equipment has. Because of this, even though you might feel like you’ve gotten all the moisture out of the upholstery, there still could be more hiding that hasn’t yet come to the surface. 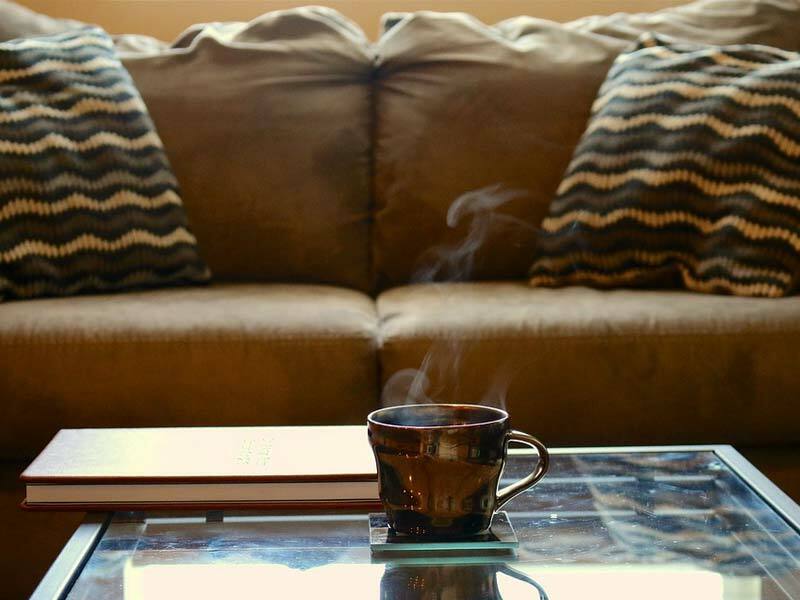 At Brothers Cleaning, we use the hot water extraction method to carefully clean your upholstery, helping it look like new and last longer. As always, we do recommend that after each cleaning, we apply Scotchgard to help protect against any future spills or stains. Contact us today to schedule your cleaning.